When I received this new CD from Glenn Wilson, I was excited to hear it since you don't get many Baritone Sax players putting out CDs these days. One reason for this is that I think the Bari Sax is one of the hardest of the Sax family to produce a satisfying tone and improvise Jazz. Glenn Wilson could show any Sax player how it is done perfectly. His tone is terrific and he improvises on the highest professional level. 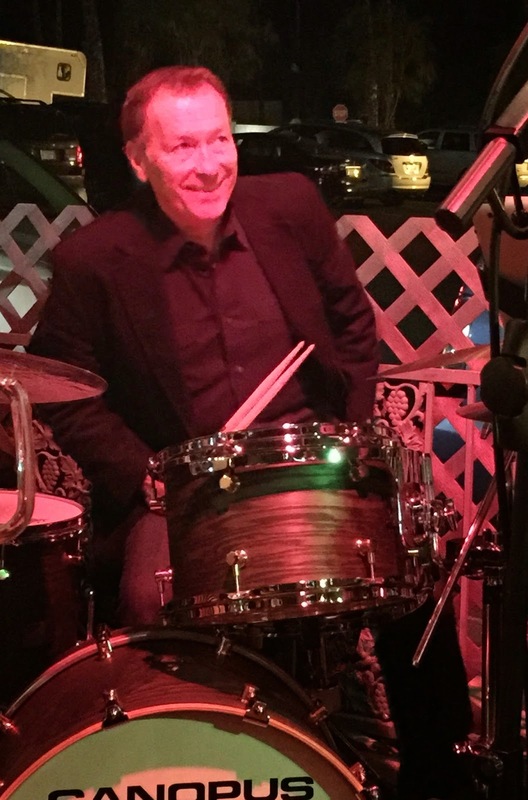 Glenn's career spans five decades ,and he has played with some of the giants in Jazz like Buddy Rich, Lionel Hampton, Tito Puente and Bob Beiden. Glenn has performed on seven solo albums and appeared in dozens of Jazz recordings as a sideman. 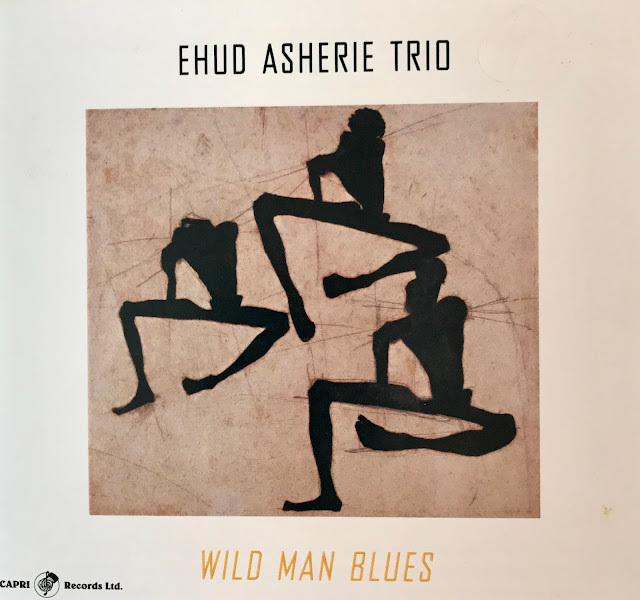 The second pleasant surprise for me when listening to this CD was the discovery of the terrifically talented, world-class Trumpet player, John D'earth who just knocked me out with his performances. Wilson and D'Earth have worked together many times in the past and the synergy between them comes through with flying colors. Also joining in the fun on this CD was John Toomey on piano, Jimmy Masters on Bass and Tony Martucci on Drums. Putting all of these polished musicians together for this CD produces the most wonderful sounds of the listener. The CD has 8 cuts and it was difficult to pick a favorite because I liked them all. Of particular note for me was Cut#3 "Inner Life" that was written by John D'earth. I have a soft spot for ballads, and this song was just beautifully written and played. I also loved Cut#4 " Dylan's Delight" written by Bari Sax legend, Pepper Adams and Cut#6 "Sightseeing" a song written by the great Wayne Shorter. 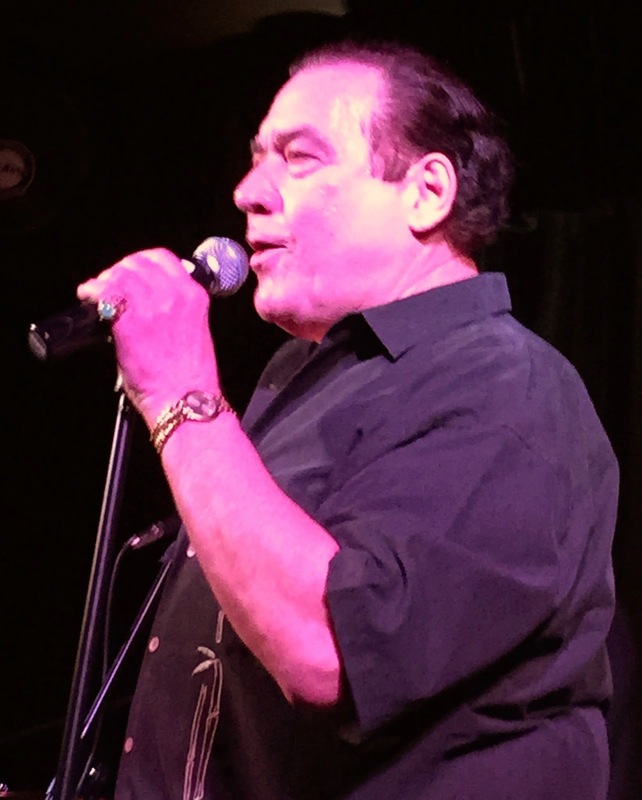 The CD was recorded Live at Havana Nights Jazz Club in Virginia Beach, VA. The release date for the CD will be February 24, 2015 by Cadence Jazz Records. The music by this group is a wonderful example of why Jazz is still alive today! 1. "Timely" 2. "To Wisdom the Prize"
3. "Inner Life" 4. "Dylan's Delight"
5. "Fat Beat" 6. "Sightseeing"
7. "Nothing Like You Has Even Been 8. "Diabolique II"
I found a "YouTube" of Glenn Wilson and friends at the Illinois Shakespeare Festival that will give you a good idea of Glenn's wonderful Baritone Sax Sound. 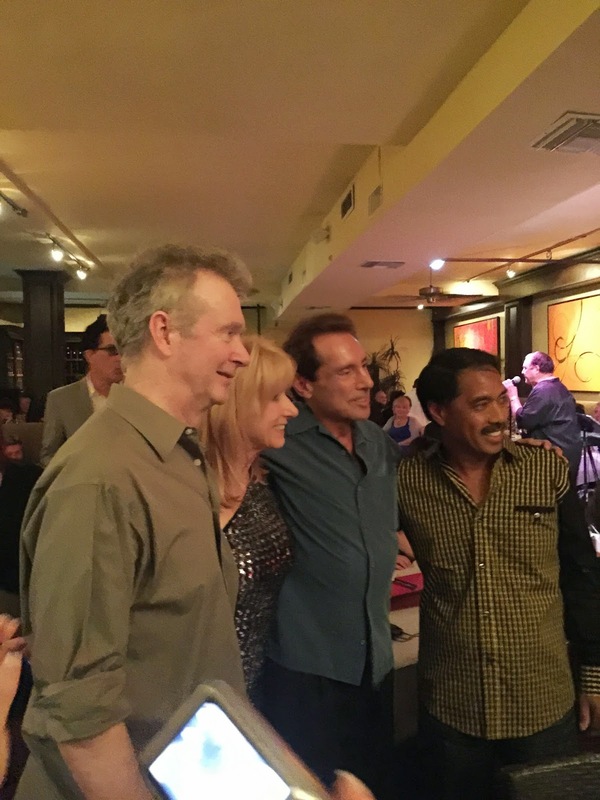 On Monday, March 23, Carl Davis hosted a Jazz Bash at Threesixty North and invited a large group of some of the best musicians in Southern California including the marvelous Smooth Jazz Guitarist, Peter White. According to Carl, he wanted to throw this Jazz Bash to thank all his musician friends and other music lovers who have supported his efforts in the music and dance industries. Carl owns "The Davis Dance Studio" in Palm Springs, one of the best dance studios in Southern California. 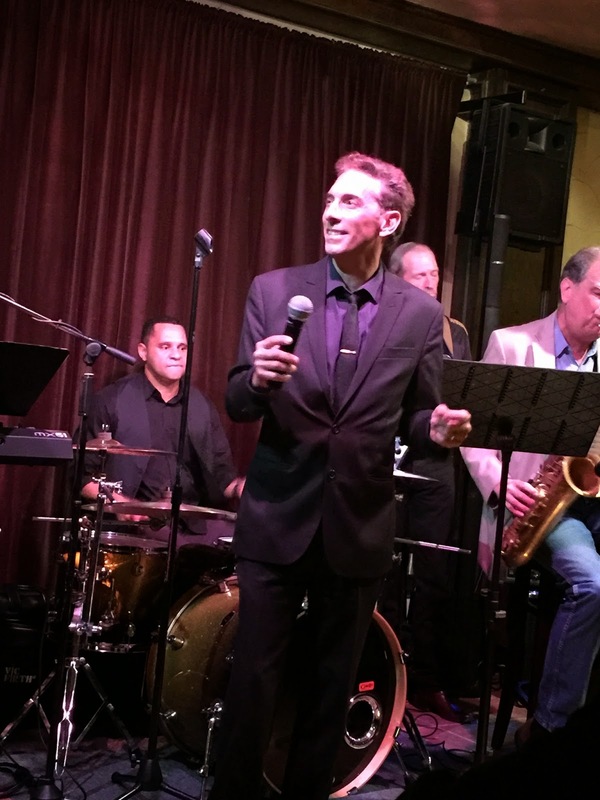 For many years, Carl provided dance instruction every Sunday just before "The Ted Herman Big Band" performs at the Indian Wells Resort Hotel in Indian Wells, CA. Carl has had a life-long interest in music and has been very active using his business skills to help promote musicians in the Valley. Tonight's roster of exceptional singers and musicians was enough to satisfy any music fan. I tried to take as many pictures of the performers for this blog, but I know I missed a few and they have my apologies. This event was more like a Jazz party than a concert. Lots of fun and great music! 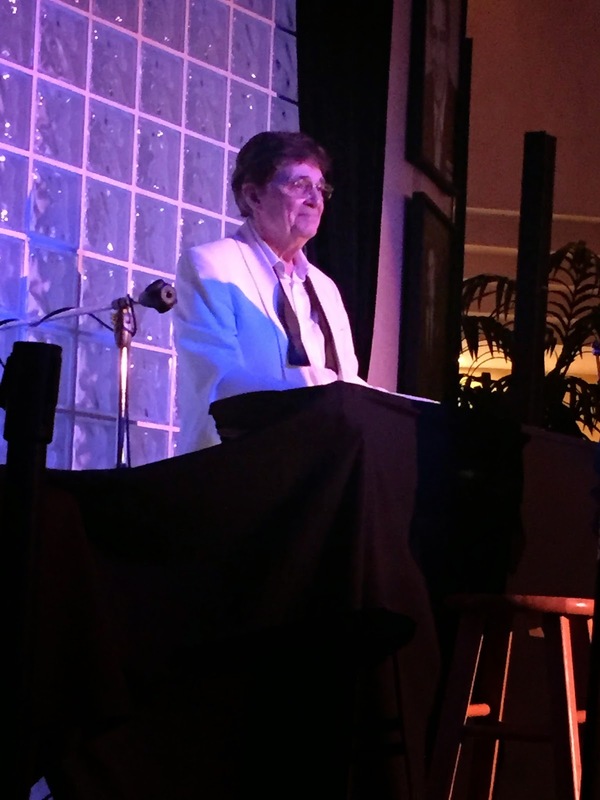 Because of this event's popularity and success with a capacity standing-room only crowd, Carl indicated he may do others in the future and open them up to the public. He certainly has my vote. Johnny Meza, Larry Capeloto, Michael D'Angelo, Paul Elia, Jessie Davis, Darci Daniels, Slim Man, Carolyn Martinez, Tony DiJerlando, Mike Costley, Chase Huna, Peter White, Michael Paulo, Ron Kokco, Gilbert Hanson, Craig Chesnut, Jay Lewis, David Ring, Tony, Victor Roblas and Steve DiTtullio. CD Review: Sherry Williams and John Rodby "Just Us Two"
The delicious Sherry Williams has a new CD out with her long-time friend and collaborator, Pianist John Rodby. Sherry and John have worked together at various gigs since the early 1980's and after listening to this CD, it's clear that they know each other very well. 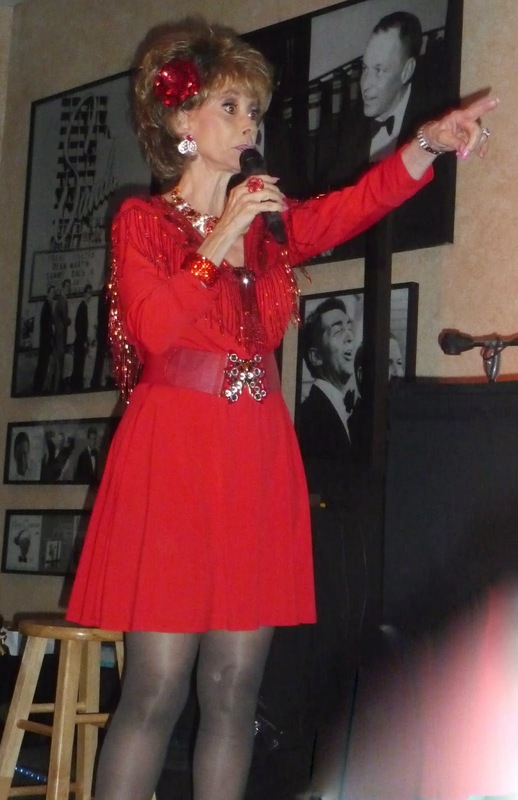 I have had the pleasure of hearing Sherry sing on several occasions and each time I become more of a devoted fan. Her voice is heavenly, a mix of all the greats I love including Ella and Sarah. Her style and treatment of lyric is as good as any performer I have ever heard. Sherry has recorded several CDs in the past to rave reviews, and you can add this CD to the list. John Rodby is a perfect pianist to support Sherry's phrasing and velvet voice. He never gets in her way but always provides a supportive background for her. The selection of songs for this CD is outstanding. These two excellent musicians just didn't take a casual walk through these songs. It's obvious that Sherry and John spent many hours working on the approach to each of these musical gems, and the results will please any Jazz lover. Sherry can swing, but I think the ballads on this CD are as good as you can get. So, you have one of the best singers in the country performing with one of the best pianists doing great songs out of the Great American Songbook, and you don't own this CD? You can buy this CD or any other Sherry Williams CD at CDBaby and I highly recommend you do. I have attached a real treat for you. I found a "YouTube" of Sherry and John performing some great songs from the "Great American Songbook", including Sherry singing her brilliant rendition of my number one greatest song of all times, "The Nearness of You". Enjoy! 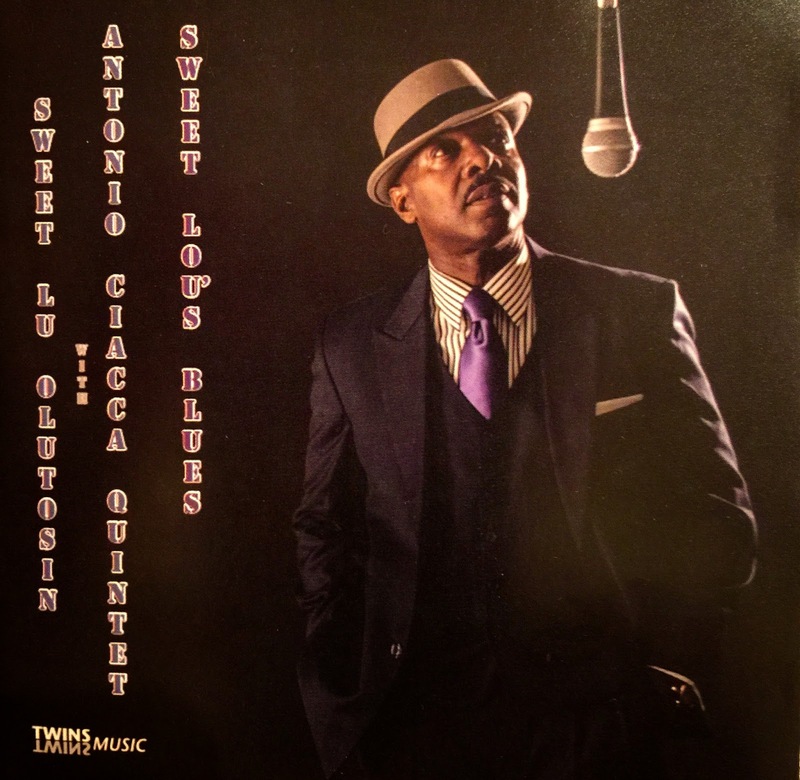 Jazz singer Sweet Lu Olutosin has just released his first CD, "Sweet Lou's Blues" with the Antonio Ciacca Quintet. Sweet Lu heard the Antonio Ciacca Quartet when the band was playing at the Blues Alley Jazz Club in Washington D.C. He fell in love with the original Antonio Ciacca's compositions and his live performances of material from Henry Mancini, Harry Warren, Chick Corea, Frank Signorelli and Joe Lovano. He also thought Ciacca's performance was soulful. After the performance, Sweet Lu and Antonio met and Sweet Lu expressed the desire to record some day with a great band like the Antonio Ciacca Quintet. A short time later, when Antonio was able to hear Sweet Lu sing, these two great musicians started talking about material, arrangements, personnel and this CD was born. During the following months, Antonio played an engagement at "Jazz at Lincoln Center" that was a tribute to the Soul Jazz of the 50's performing the music of the Adderley Brothers, Benny Golson, Joe Henderson, Donald Byrd and Horace Silver. 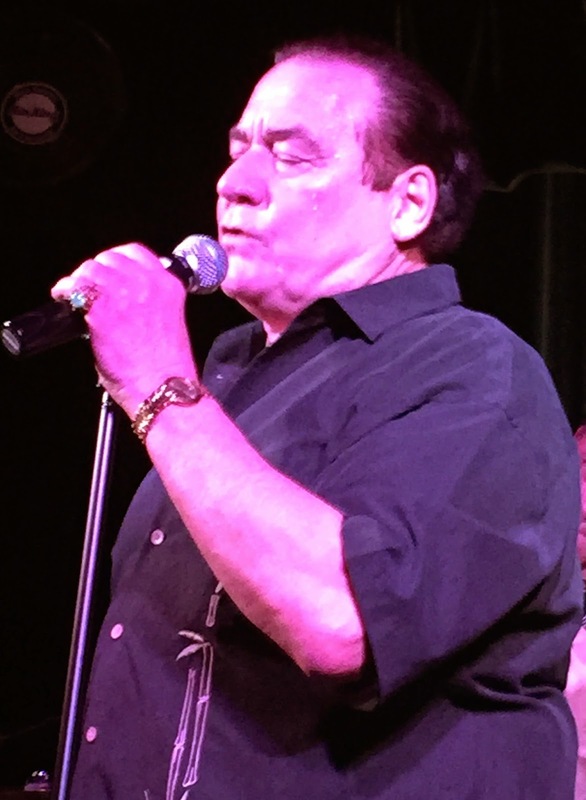 With this music still in his head, Antonio proposed a set list of the same soulful grooving music of the 50's but with lyrics yet to be written. Six months later Antonio and Sweet Lu were is the studio cutting the CD. Sweet Lu Olutosin has a deep rich wonderful voice that will remind his listeners of Joe Williams, Joe Henderson and the best of the big band singers of the 50's. But Sweet Lu brings his own current style to the CD and added some clever musical touches to the playlist. He has a great voice and he knows how to deal with a lyric. The playlist that is on the CD would be no easy assignment even for the most experienced and skilled singer but Sweet Lu mastered it all. The CD has 9 cuts and Antonio did all the marvelous arrangements. He also wrote three of the songs on the CD: "Logos Blues", "Baron 5" and "Sweet Lu". His quintet was outstanding thanks to the efforts of Tivon Pennicott on Sax and Flute, Jeremy Pelt on Trumpet, Mike Carn on Bass and Jerome Jennings on Drums. This is a beautiful Jazz CD that pays tribute to the Jazz greats of past years and yet puts out modern sounds that will truly satisfy any Jazz lover. 1. "Malcom's Song" (Theme for Malcom) 2. "Every Day I Fall in Love"
3. "Those Lagos Blues" 4. "Call Him Blackjack"
5. "Let's Go Drifting" 6. "Nancy With The Laughing Face"
7. "The Baron" 8. "Be My Mamacita"
I was able to find a "YouTube" on Sweet Lu singing "Malcom's Song". Once you listen to this cut you will want to buy the complete CD. It will give you hours of great listening pleasure. Trish Hatley has just released her 8th Cd, "I Remember-2nd Set" and its outstanding! Trish tours and divides her time between Seattle, Washington and Palm Springs, Ca. 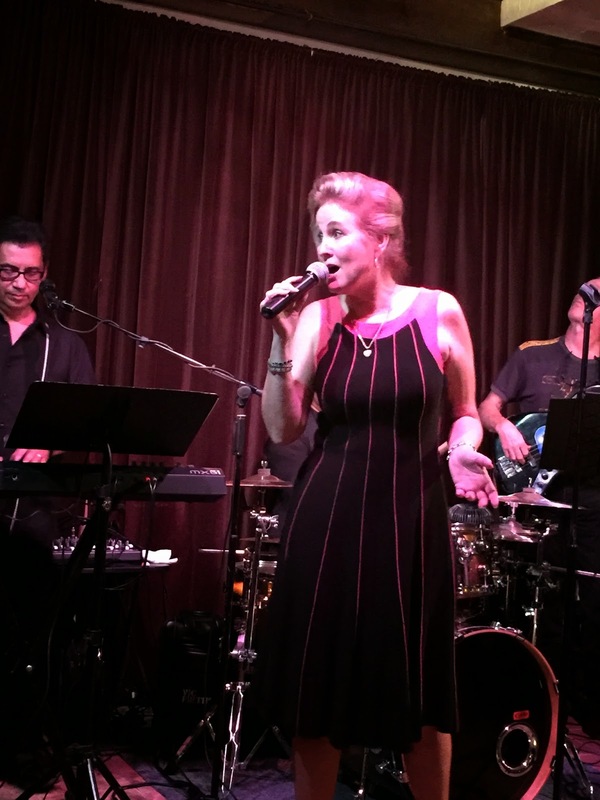 Trish is an accomplished and polished singer with a golden voice. She also has a wonderful stage presence. For new CD continues her personal exploration of great songs out of the "Great American Songbook" and we get to hear the wonderful results. There are 16 cuts on this CD including one that Trish wrote, "I Don't Want To Hurt You". 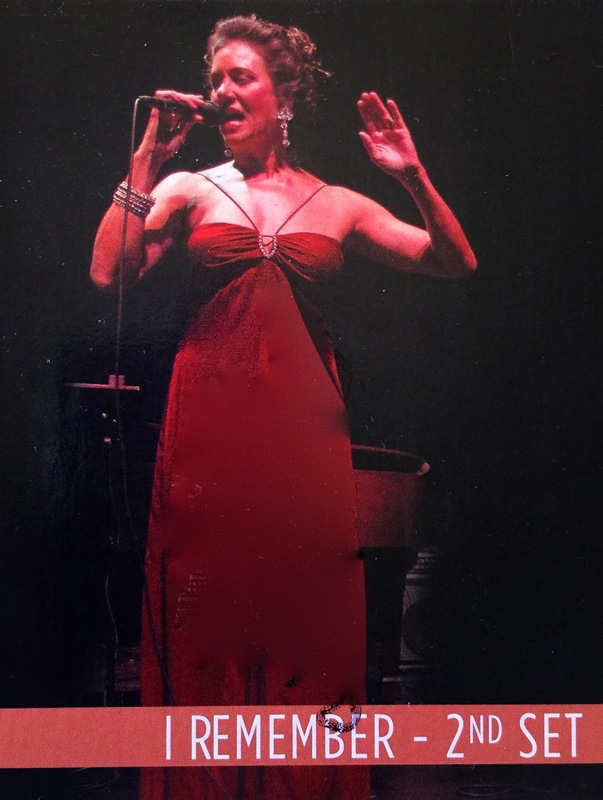 Trish covers songs from the greatest American composers including George & Ira Gershwin, Richard Rodgers, Lorenz Hart, Harold Arlen and Duke Ellington. These great songs are perfectly fitted to Trish's style and her understanding and mastery of lyrics. She sings songs that were written year ago but her approach breaths new life and sparkle into all of them. 1. "It Don't Mean A Thing" 2. "Lover Man"
3. "Shadow Waltz" 4. "I Don't Want To Hurt You"
5. "Four Brothers 6. "Robbins Nest"
7. "I'm Glad There Is You" 8. "A Sleeping Bee"
9. "Why Don't You Do Right" 10. "Midnight Sun"
11. "'S Wonderful" 12. "AN Occasional Man"
13. "Smile" 14. "Beyond The Sea"
15. "Thou Swell" 16. "That's All"
I attached a "YouTube of Trish Hatley singing her stunning interpretation of, "Where Do You Start". Listen to this and there will be no further need to tell you that she is a super-star singer! 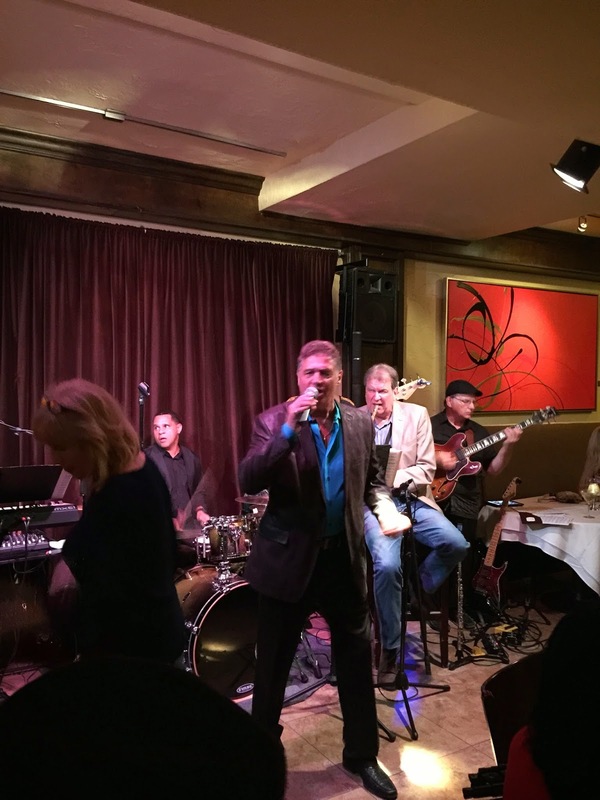 Backstreet Bistro was jumping again on Tuesday night with Bill Saitta leading a group of talented musicians who play Jazz with a vitality and freshness that one seldom gets to witness. Bill puts together a different group of musicians every week, and he never disappoints with the music results. Tonight Bill put together a group that included Tom Keenlyside, the specular Flute and Sax player; the marvelously talented Jay Lewis on Drums and world-class Guitar player, Doug Macdonald. The music tonight was hot and was more than enough to overcome the cold front that has been in the valley the last couple of days. 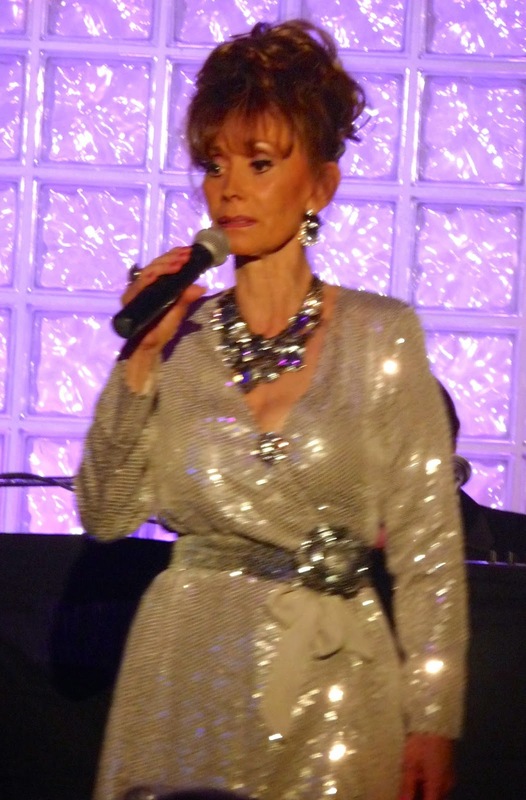 Making tonight's performance even more special was the beautiful singing of Desert favorite, Beverly Jensen. Beverly has a long, star-singing resume that includes touring with the Dorsey Band for many years, and she still has a wonderful pure voice with perfect pitch. As great as the band was tonight, the addition of Beverly's sweet singing voice took the music to an even higher level. Tom Keenlyside never disappoints his audience and tonight was no exception. He played Tenor Sax with the energy of a twenty-year old and his flute playing has never been sweeter. Tom also treated the audience with his singing that had everyone cheering. It's always a treat to hear him perform. Jay Lewis continues to impress everyone with his Drumming skills. Jay could teach a course to any young wannabe Drummer on how to use sounds and rhythms to support a band. Jay is one of the top Drummers playing today. There are a lot of good Guitar players around today but if you want to hear a great Guitar player, Doug is your man. Doug's solos are intelligent with clarity. He is one of the most sought-after players in the Desert. 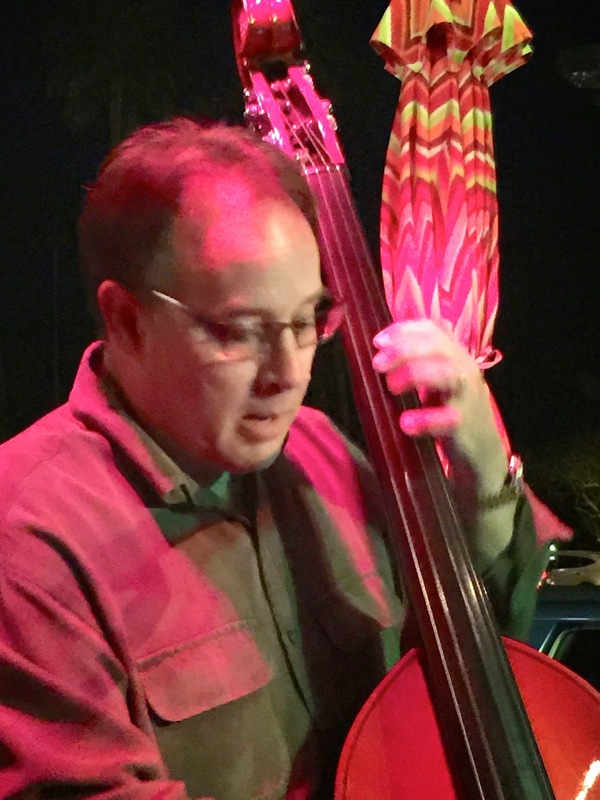 Bill Saitta was playing his upright Bass tonight to the delight of the capacity audience. Bill works very hard producing these Jazz shows and never looks for credit. But he deserves lots of credit for always putting the spotlight on other musicians, preferring to give them all the accolades without consideration to himself. 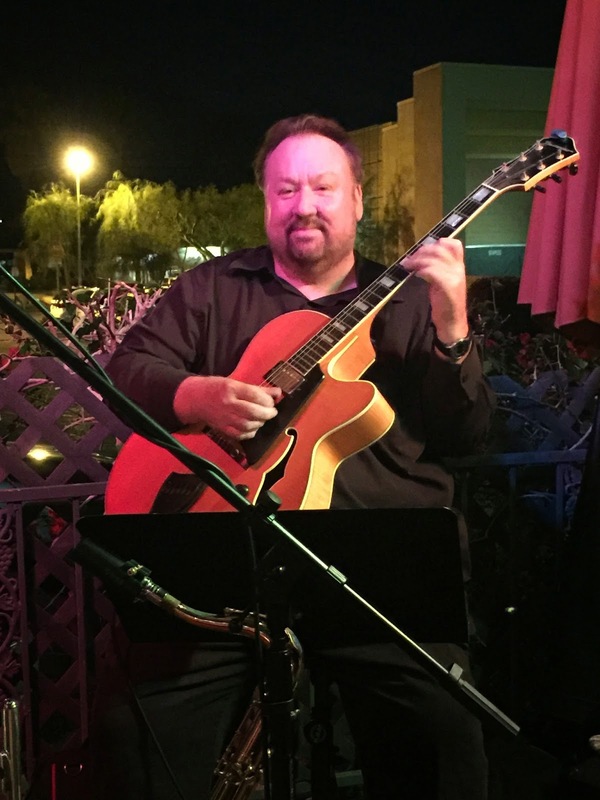 Without Bill Saitta's efforts, the Tuesday night Jazz series would never have reached its current high esteem among Desert Jazz lovers. From all of us that come to Backstreet to dine and listen to Jazz, we all thank you Bill! 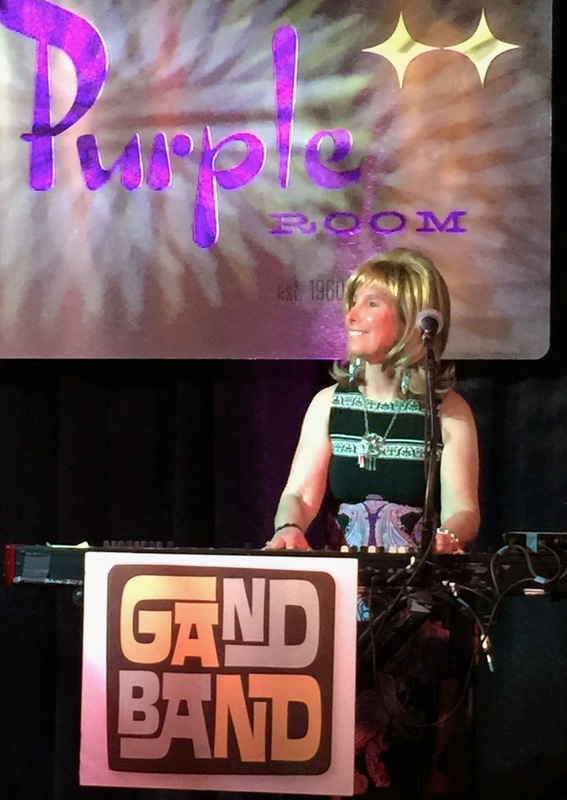 The Gand Band holds center stage at the newly renovated "Purple Room" every Friday and Saturday night. I had heard a lot of good reviews about this band but never had an opportunity to hear them. Well, I can report that the excellent reviews of this rocking band are right on target. 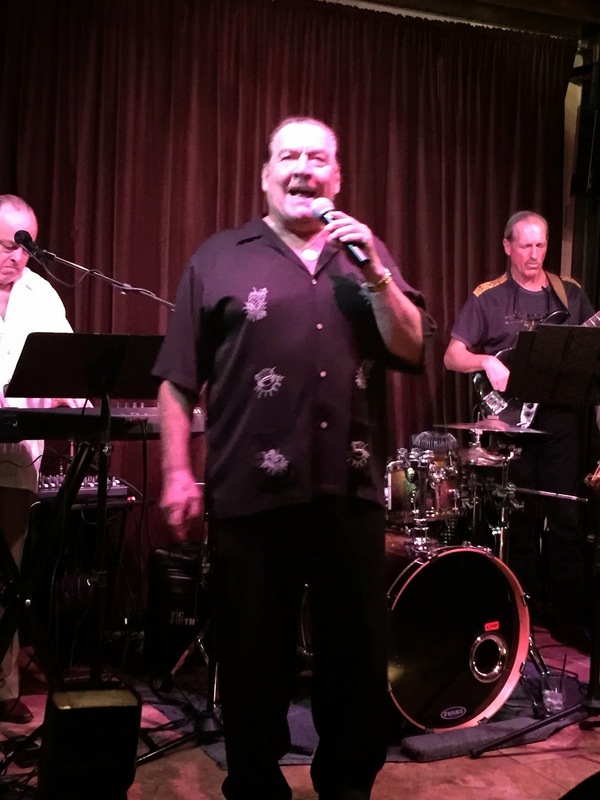 The Gand Band is made up of five wonderfully-talented musicians, Joan Gand who sings, plays keyboards and acts as MC, Gary Gand who plays major league Guitar, the great John Bolivar on Tenor Sax and Flute and on Drums is Desert favorite, Sal Frisaura who also sings. The fifth member of the band is vocalist Tony Grandberry who really excites the audience with his spectacular energetic singing. 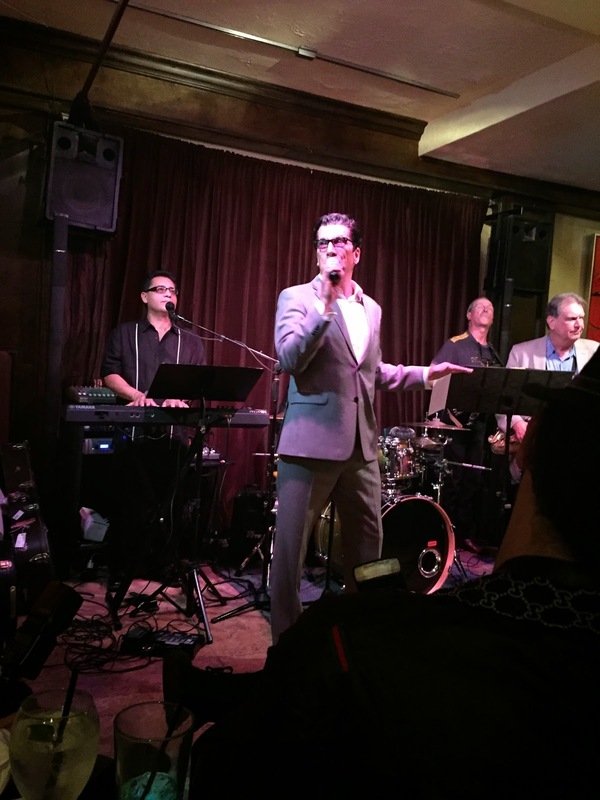 The group specializes in the songs everyone will remember from the 60's through the 90's. They do Blues and R & B as good as any group I have heard. This group could have been named "The Gand Gang" because once they start playing they capture the room and take no prisoners! They play the kind of music that makes people want to dance and the Purple Room has set aside space for a dance floor at the front of the stage, and it will well used by members of the audience throughout the night. This is one of the hardest working bands I have seen. They just don't do the same tunes every week. They prepare different weekly themes so each week their fans can hear new stuff. 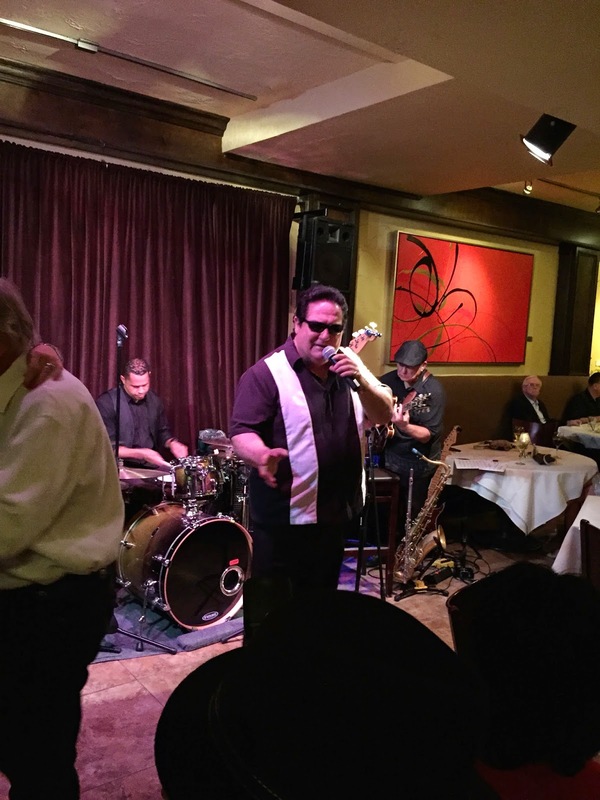 This takes hours of time, but The Gand Band is committed to always performing the highest entertainer level. They never just mail in their performance and I congratulate them for their efforts. This week their theme was music from TV and the Movies. How great it is to hear songs from yesteryear that brings back tons of positive memories for all of us. 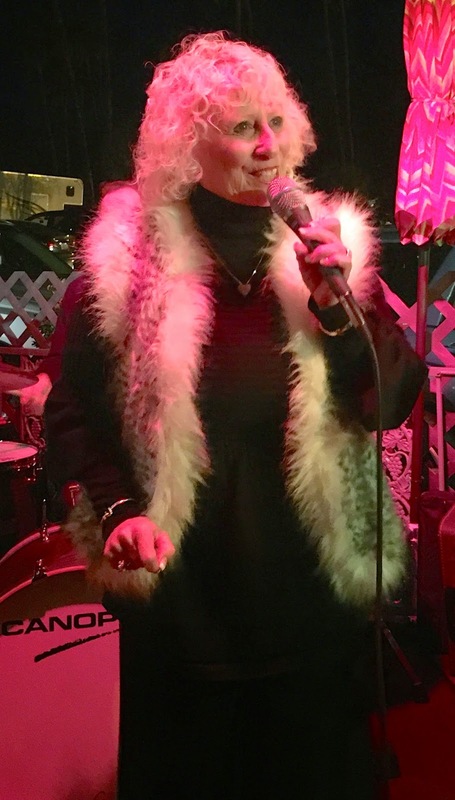 Joan Gand does an excellent job as the Mistress of Ceremonies for the band and also plays wonderful Keyboard along with singing backup vocals. She obviously loves to perform and her excitement is a stimulus for the band and the audience. Gary Gand could undoubtedly play Guitar with any major rock group. His solos are fresh and inventive and he also simply loves performing. 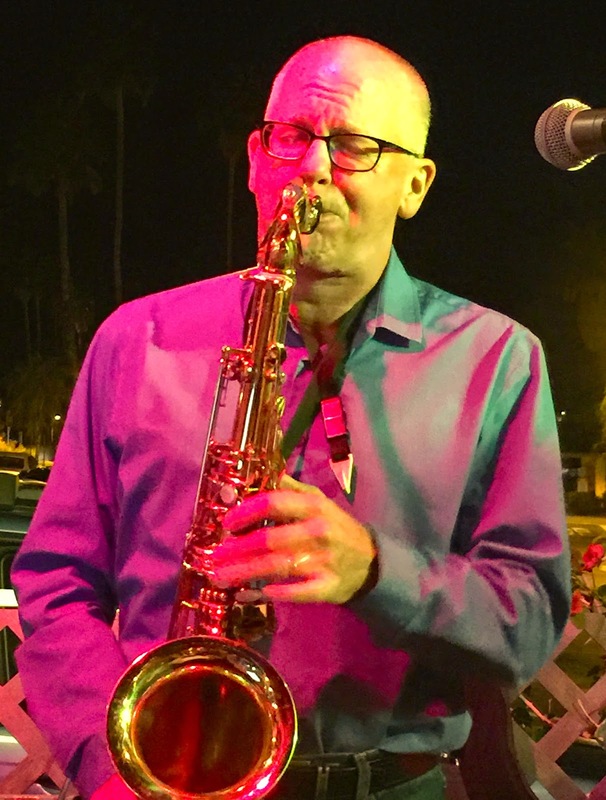 John Bolivar is a classic style Tenor Sax who plays with abandon. He fits into this wild group perfectly. His solos were always bright and spirited and always received massive applause after each one. 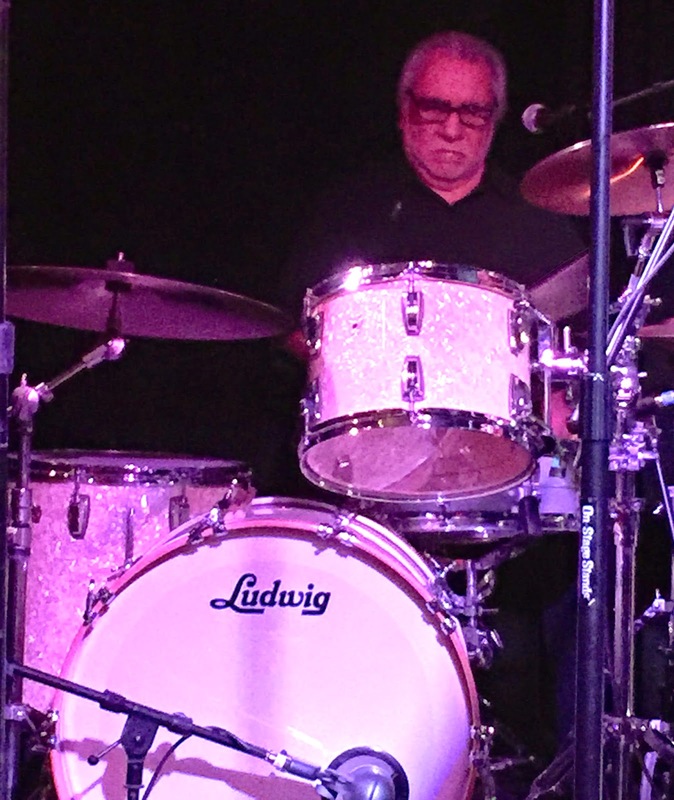 The Drummer for the group is Sal Frisaura who has been a Desert favorite for years. 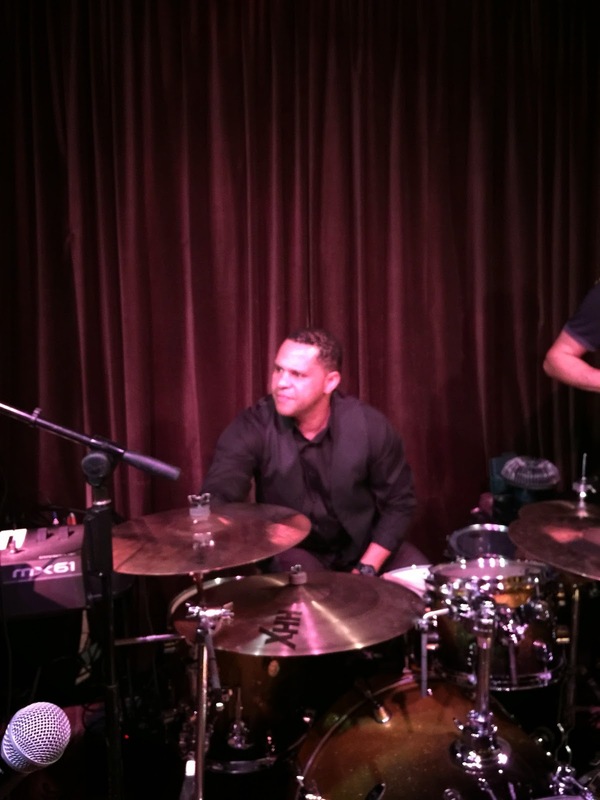 I heard Sal play before and enjoyed his drumming, but I have never seen him as happy as when he plays with this group. 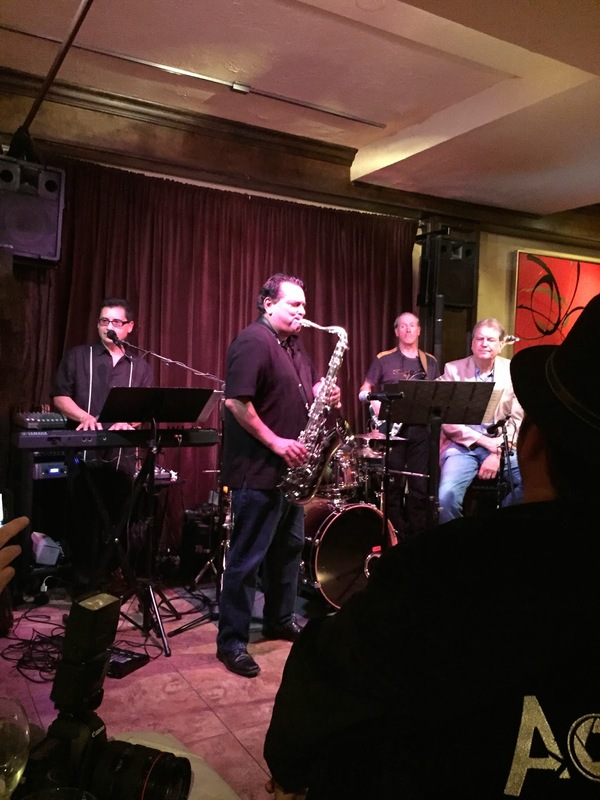 He loves the music and the members of this group which results in a wonderful rhythmic foundation for The Gand Band! The last member of the band is their vocalist, Tony Grandberry and he is simply an amazing singer. He can handle ballads with ease and yet he can blow the roof off the building with his performance of up-tempo songs. I found a "Youtube" video of the Gand Band playing the great Jazz classic, "Broadway" with Tony Grandberry doing the vocal for your listening enjoyment. 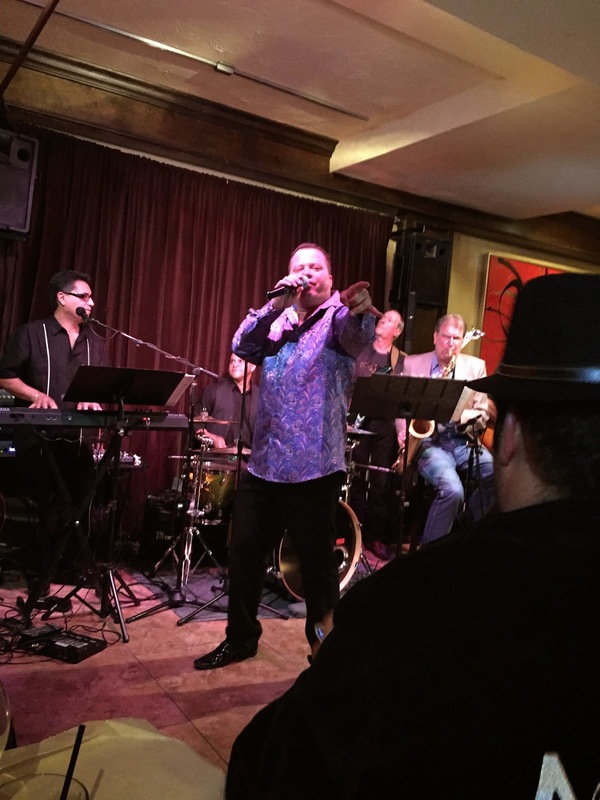 I highly recommend a trip over to the Purple Room to hear The Gand Band but be sure to call ahead for reservations as this group frequently sells out. 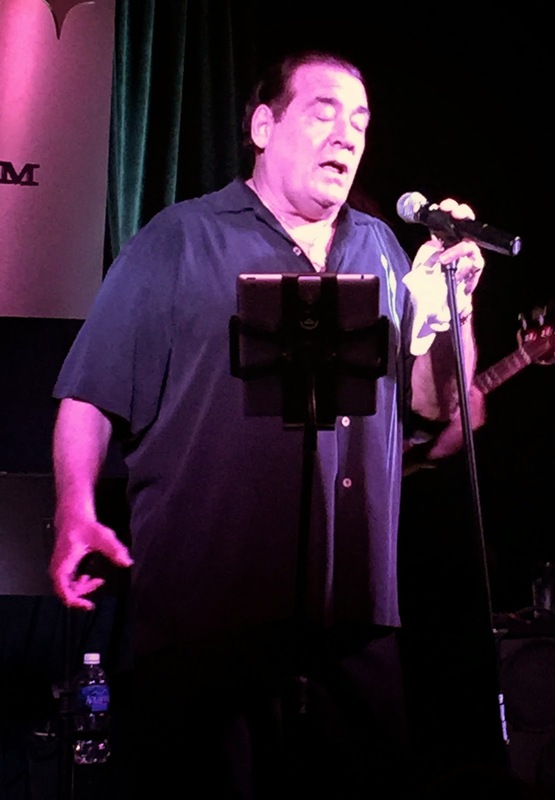 Rich Bono and Poupee Boccaccio have been hosting their highly successful "Open Mic" show on Wednesday nights at the Indian Wells Resort Hotel for the past several years. But don't mis-understand what "Open Mic" means. Rich and Poupee start their show with their own performances for the first hour. This dynamic duo is loaded with major league talent and show business experience. Rich Bono singing and playing the Keyboard is about as good as you will hear from any major professional singer. Poupee, also has had a remarkable career as an actress, singer and dancer. She has a bachelor of art degree in romance languages from the University of San Diego and sings songs in several languages. She also has a BFA degree from the Otis-Parsons School of Design. An added treat is when the two team up to perform several duets. After the first hour, what happens next is nothing like the Karaoke that you might find in entertainment places in the Valley. With Poupee acting as the Mistress of Ceremonies and Producer of the Show, she brings up some of the most talented musicians in the country and they perform two songs with Rich providing support at the Keyboard. Poupee keeps total control on the flow of the show and as a result, the performances by the talented musicians flow in a most professional and entertaining way. Poupee has a great dry sense of humor and uses it to make sure the evening moves in the direction she wants without any drama for herself or the performers who genuinely love her and Rich. 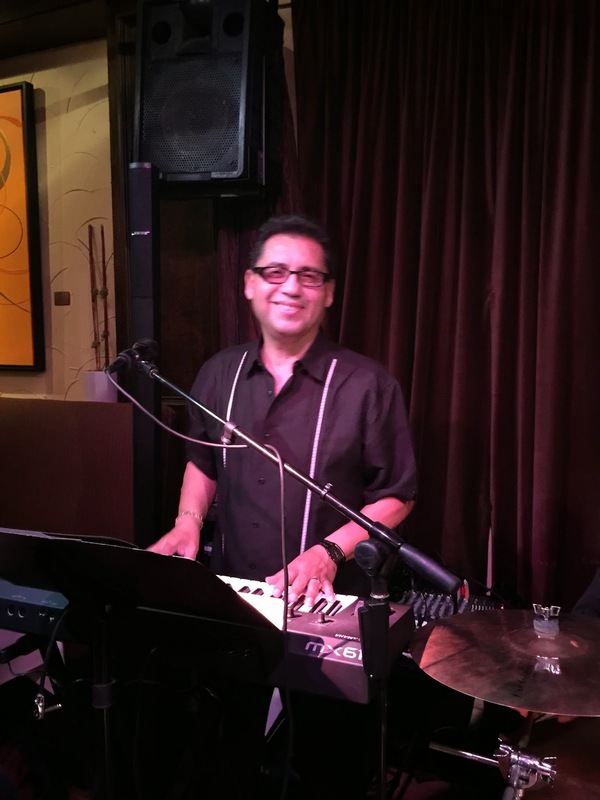 Rich Bono is one of the most sought after pianist by all of the best singers in the Valley because he has the ability to provide wonderful support and yet never over-powers or over-shadows the singers. Rich has one of the best musical resumes' any performer could wish for. He toured with the Harry James Orchestra for years. He attended North Texas State studying Piano, Theory and Arranging, all skills that he has practiced successfully for years. He played at the Tropicana Hotel in Las Vegas for 15 years, the Desert Inn Hotel for 7 years and the Mirage and Treasure Island Hotels. 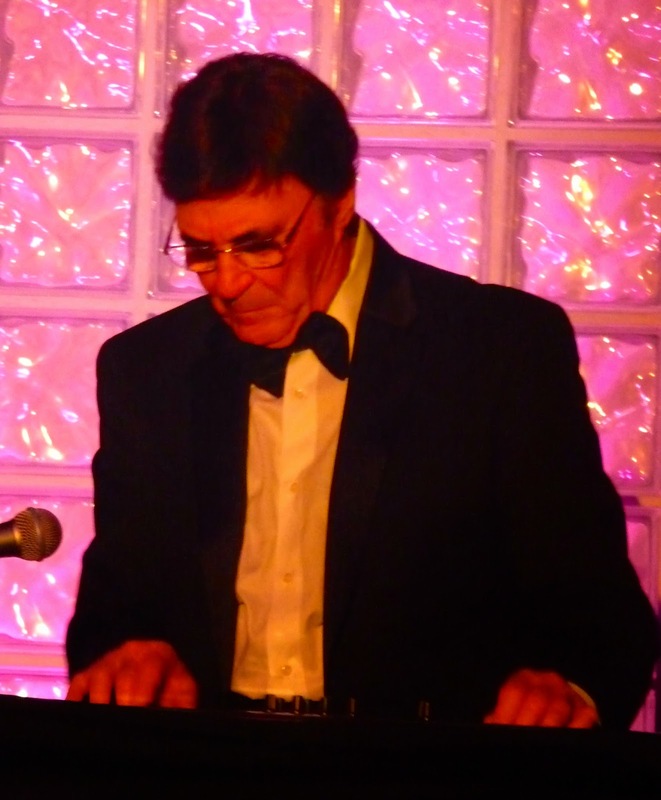 Rich had been an accompanist for many major musical stars including Jack Jones, Tony Bennett, Frankie Laine, Linda Darnell, Mary Kaye, Jane Morgan, Don Cherry, Pat Boone and Bobby Milano. Poupee Boccaccio has had a long and successful career in both Television and Hollywood Movies. When you visit the Indian Wells Resort Hotel on Wednesday, the Hotel plays short cuts from the many movies and TV shows Poupee stared in such as "The Venetian Affair" with Robert Vaughn, "Pocket Money" with Lee Marvin and Paul Newman, "Last Movie" with Dennis Hopper and Peter Fonda and "April Fools" with Jack Lemmon. She also appeared on the TV shows "Columbo", "I Spy", "Wild, Wild, West", and she was a guest on "The Johnny Carson Show" twice. And, if these credits aren't enough, Poupee was the star of the Follies Bergere at the Tropicana Hotel in Las Vegas. 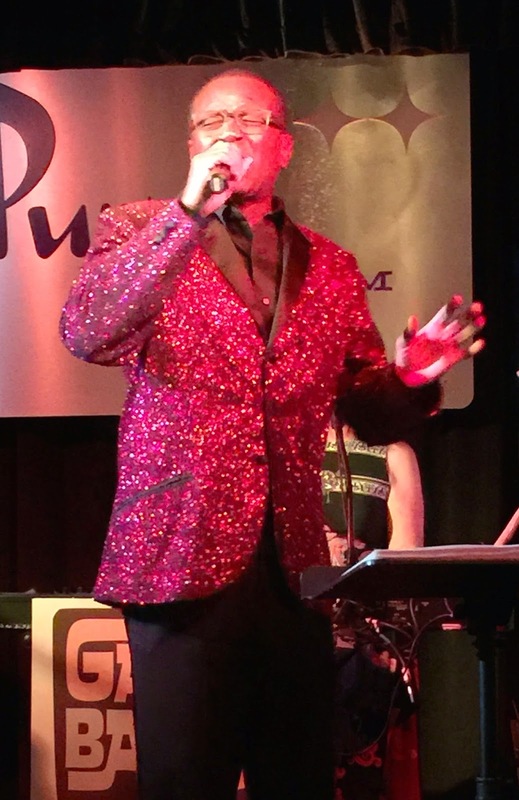 Whenever you want a fun night of entertainment provided by some of the best musicians around, go to the Indian Wells Resort Hotel any Wednesday night and catch the Rich and Poupee "Open Mic" night. 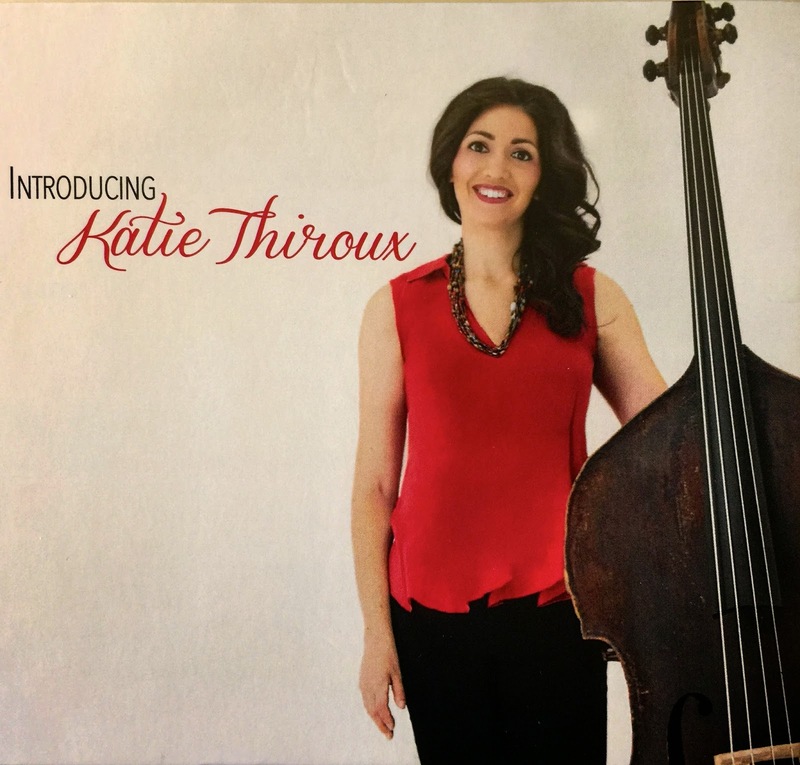 CD Review: Katie Thiroux Debut CD "Introducing Katie Thiroux"
Bassist/Singer/Composer Katie Thiroux released her first CD on February 3, 2015 titled "Introducing Katie Thiroux". Before I even listened to this CD, I read the liner notes and knew this CD from Katie Thiroux would be terrific. Soon after I was able to see Katie in person when she performed with the Larry Fuller Trio and Graham Dechter at "Pete Carlson's Jazz For Jazz Lovers Series". When I first listened to Katie's CD, I was so focused on her beautiful voice and singing style, I somewhat overlooked her great Bass playing. 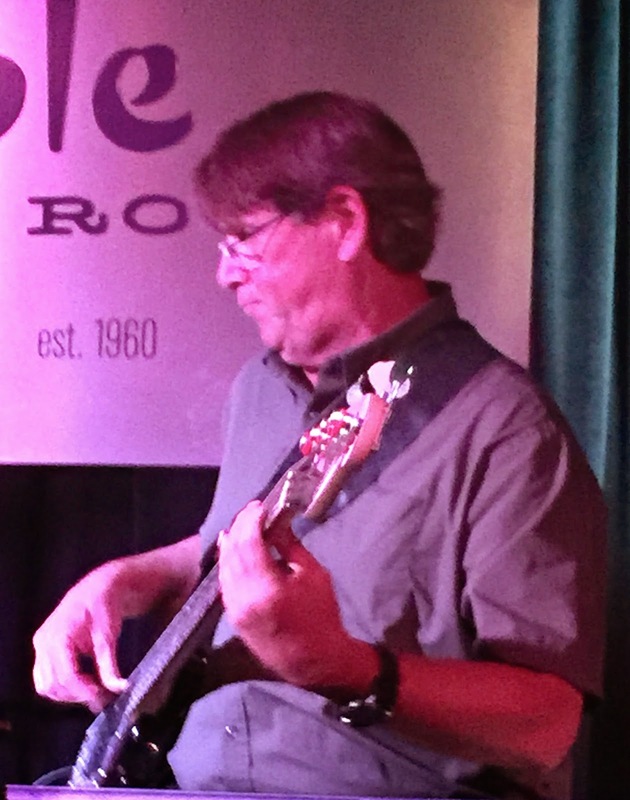 However, at the Graham Dechter concert, Katie's Bass brilliance was in full view. Katie told me that she had always loved Ray Brown and that she had spent some time working with John Clayton. At the concert, she played a couple of great Ray Brown arrangements, and if you closed your eyes, you might have thought is was Ray Brown or John Clayton playing. The audience loved her Bass playing and she received many rounds of applause every time she played a solo riff. Katie Thiroux is a multi-talented musical threat, she sings with great style as good as any of the best Jazz singers around today and her Bass playing would be welcomed in the best Jazz groups. Katie studied with the great Jazz Vocalist Tierney Sutton. So she has had guidance from two Jazz giants, Clayton and Sutton. The results of her years of study are evident in her Bass playing and her singing, she is one of the best around in both categories. Here is a quote from John Clayton "Katie has developed into a swinging and "Killer" Base player! Of course, I heard her talent and advanced abilities when she was younger, but her playing now is something else--It's at another level. I'm talking about the level of playing that allows the groove to feel right, the arrangements well thought out and rehearsed and the performance to be tight". Quite a compliant from one of the Best Bass players in Jazz history! True of all the very best musicians, Katie has put together an impressive group of musicians to join her quartet on her debut CD. 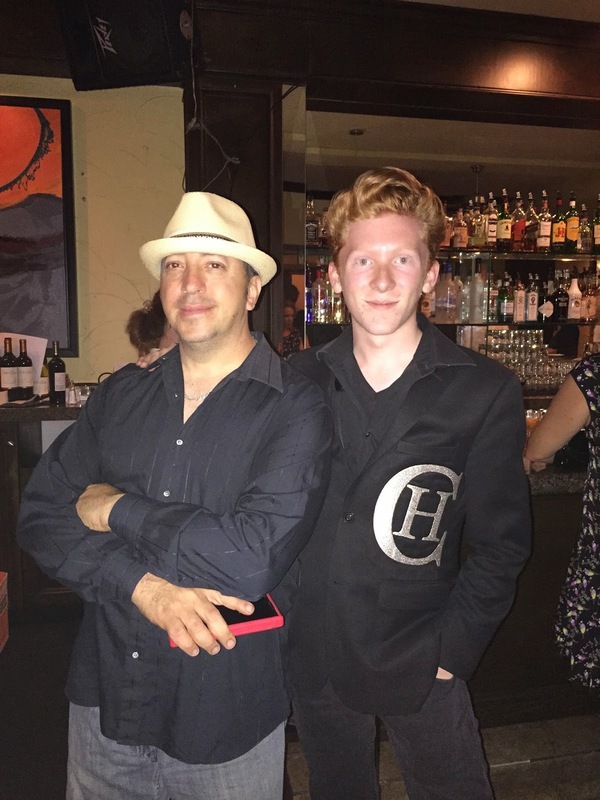 Graham Dechter, a celebrated guitarist was at nineteen the youngest member of the acclaimed Clayton-Hamilton Jazz Orchestra. 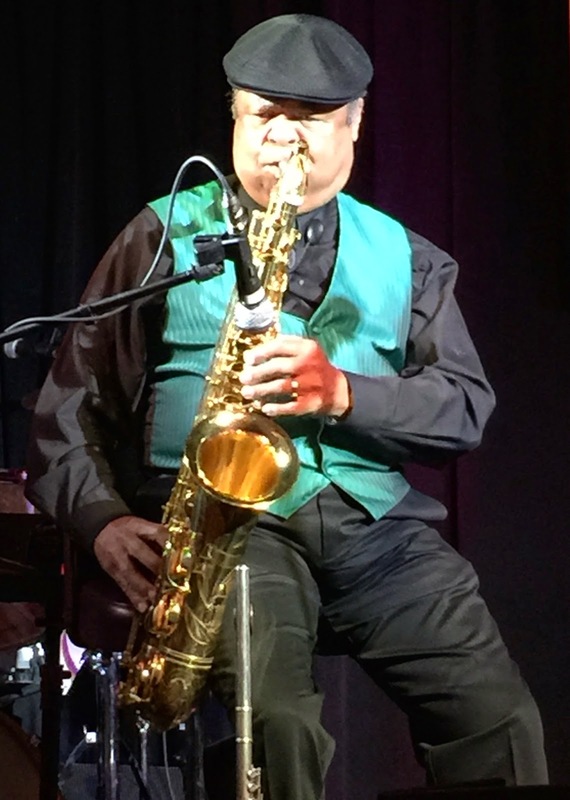 In addition, his credits include work with Benny Golson, Jimmy Heath, John Pizzarelli, singers Jon Hendrick, Nancy Wilson and Kurt Elling. Not too bad for someone that is only in his late 20's, don't you think? Saxophonist, Flutist, Composer, Arranger and Music educator, Roger Neumann added a wonderful warmth to Katie's singing and Bass playing. Matt Witek a former student of Grammy-winning Drummer, Jeff Hamilton was on Drums, and you can tell he must have been a wonderful student. His Drum work is excellent, both creative and solid at the same time. Katie has written three interesting instrumentals for her CD. "Ray's Kicks" is dedicated to Ray Brown. Katie says she was inspired by a pair of Ray's stylish shoes that were gifted to her. "Rosebird" was written on the framework of Earl Hines's "Rosetta" and Charlie Parker's "Yardbird Suite". "Can't We Just Pretend" is a beautiful ballad with an Ellington flavor and it's delightful. This may be Katie Thiroux's first CD but she has already established that she has established place to be among the Jazz giants in years to come! 1. "There's A Small Hotel" 2. "Don't Be On The Outside"
3. "A Beautiful Friendship" 4. "Wives and Lovers"
5. "I'm Old Fashioned" 6. "Ray's Kicks"
7. "The One I Love (Belongs to Somebody Else)" 8. "Rosebud"
9. "Can't We Just Pretend?" 10. "Shiny Stockings"
11. "Oh What A Beautiful Morning"
I found a "Youtube" video of Katie singing "Wives and Lovers" for your hearing pleasure.